The chrono rattrapante or double (or split-seconds) chronograph gets its name from a double seconds hand anchored at the centre that during normal operation runs synchronously with the normal seconds hand. 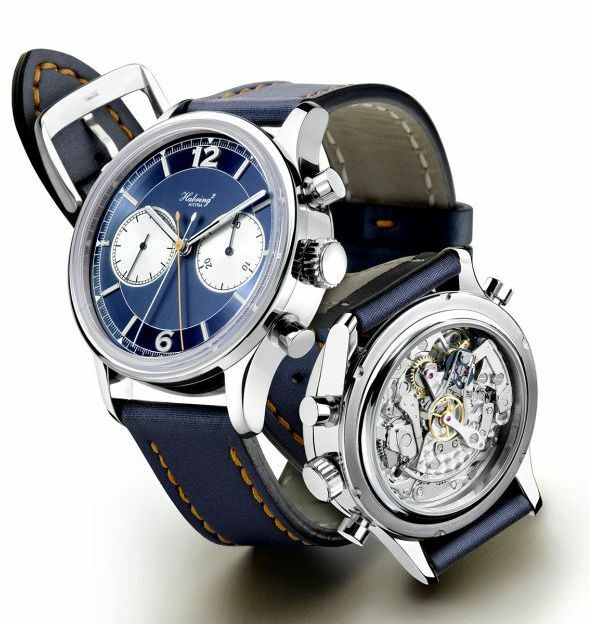 It kicks into action when the characteristic third pusher at the top left of the watch case is pressed. 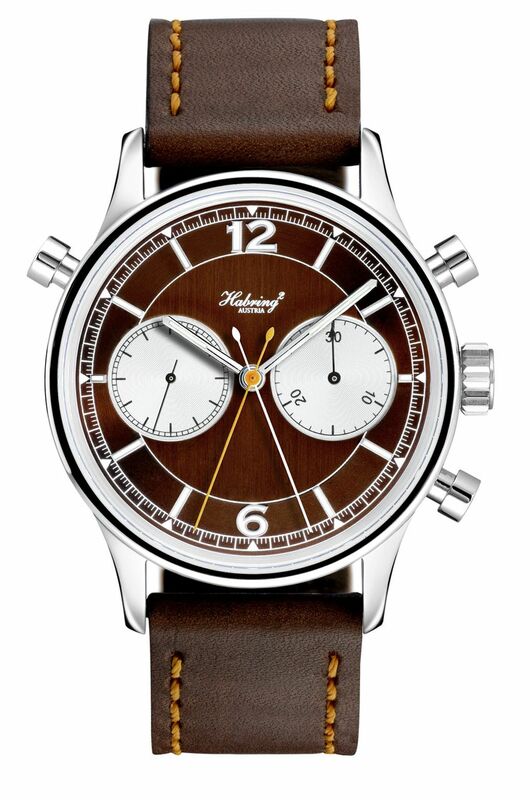 Whilst the chronograph’s seconds hand moves continuously, the other one can be stopped to record intermediate times. Pressing the pusher again elegantly returns the split-seconds hand to its position above the normal seconds hand. 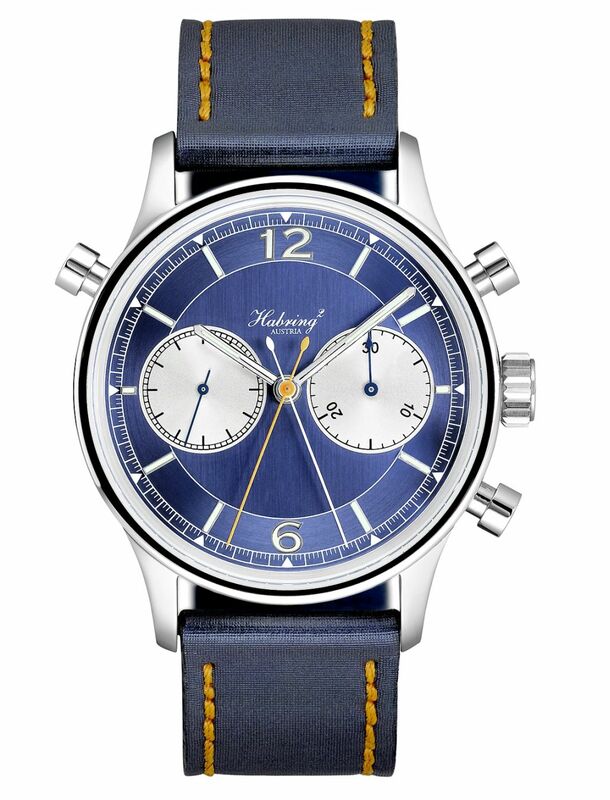 This year, Maria and Richard Habring led Austrian luxury watch brand Habring² has reinterpreted the double chronograph in a future-oriented design. The technology is not completely new to the brand; after all, Richard Habring played a major role in the development of the complication when he first started out on his career as a watch designer under his mentor, Günter Blümlein. At the time, his completely new approach convinced not only his colleagues but also the patents office. The document published under the number DE4209580A depicts a hitherto unseen design of the fragile lever mechanism required to hold the rear-mounted split-seconds wheel. One of the design’s special features is the omission of the traditional column wheel, which is not only complicated to produce but also requires complex adjustment in conjunction with a split-seconds function. However, the design, which integrated the functional module in an existing movement, went on to display the odd drawback here and there over the next 20 years. The dynamic entrepreneurial couple has taken this as an opportunity to rework the design whilst incorporating some decisive improvements. In contrast to the original patent, the Doppel 2.0 is characterised by superior service friendliness. There is a choice of three dial designs: blue, grey and brown, each offset in orange. The Doppel 2.0 is available exclusively in a 42 mm diameter stainless steel case at a price of € 6,000.